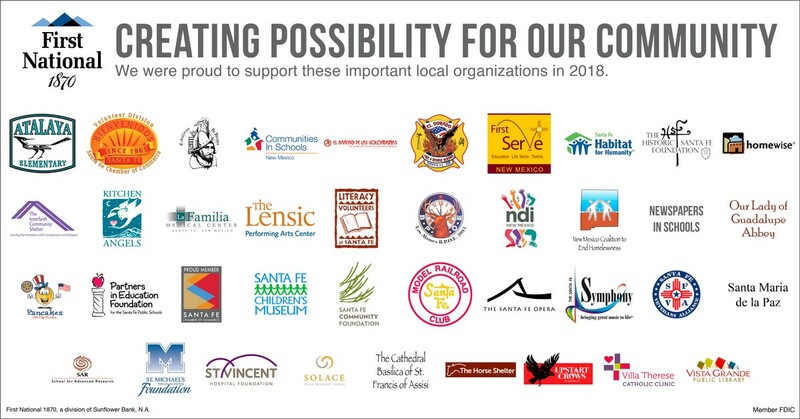 First National 1870 is proud to support many local organizations that give back to Santa Fe and Los Alamos. We are committed to investing in and contributing to the economic, cultural, and social fabrics that make this region unique. Through donations, in-kind gifts, and employee volunteerism, First National 1870 helps organizations from Bienvenidos to Habitat for Humanity to the Santa Fe Opera, create possibility and fulfill their missions that positively impact our communities.